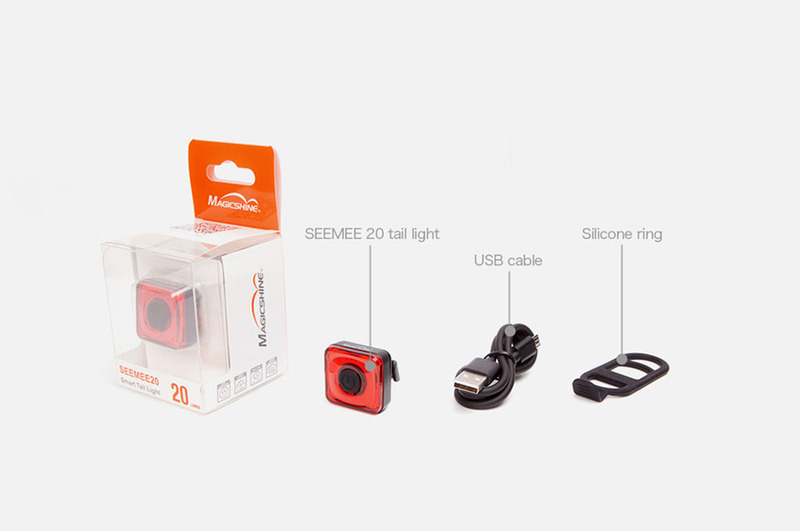 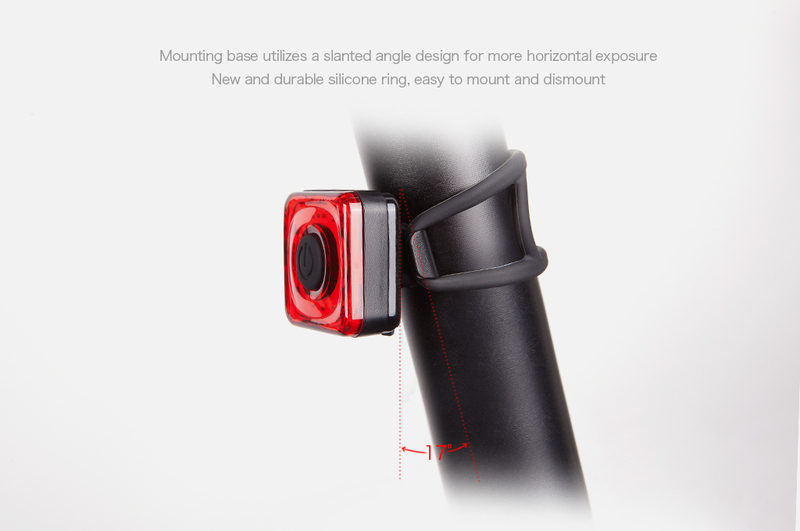 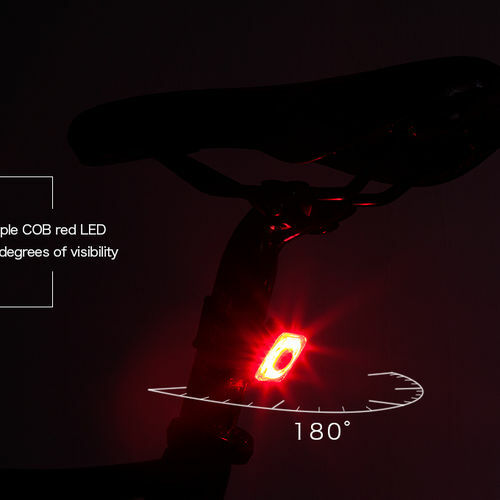 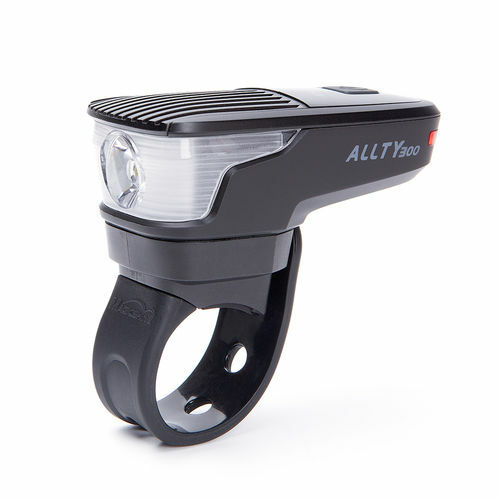 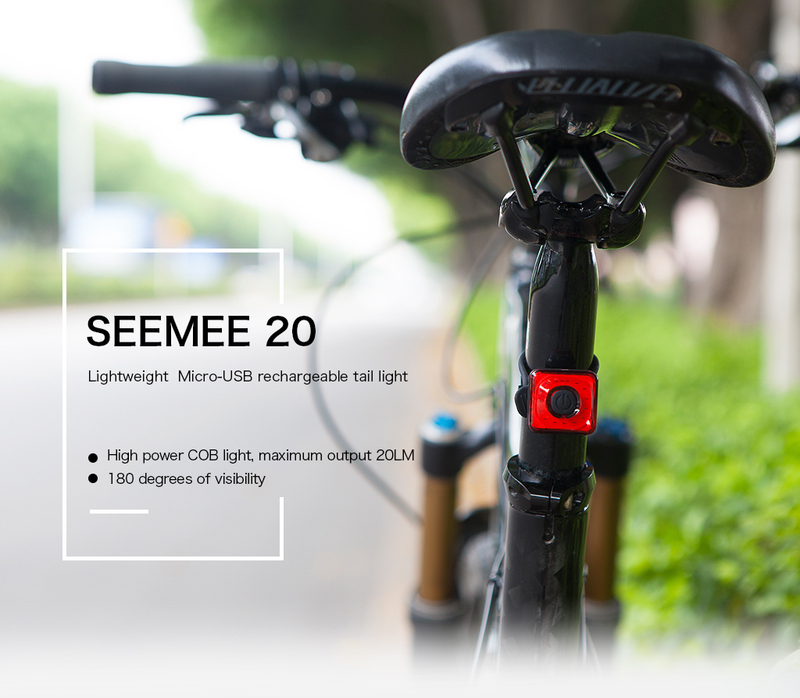 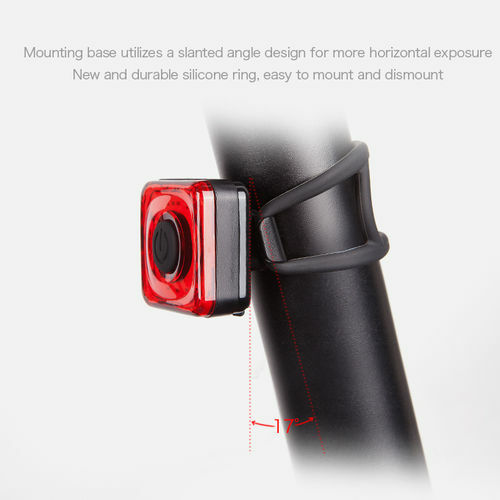 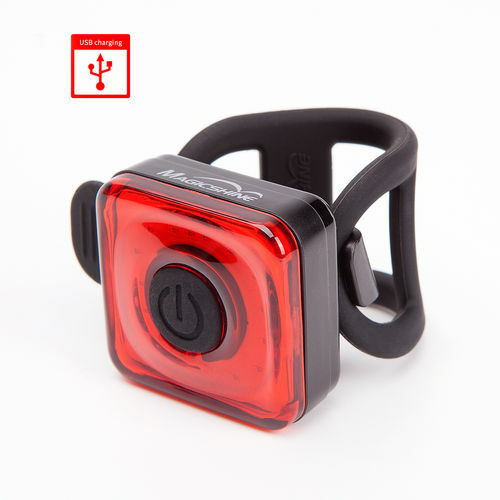 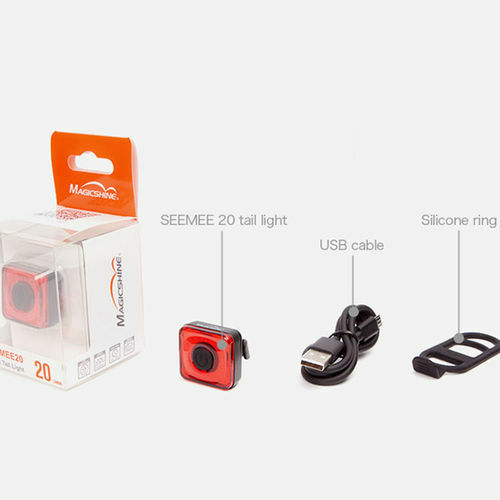 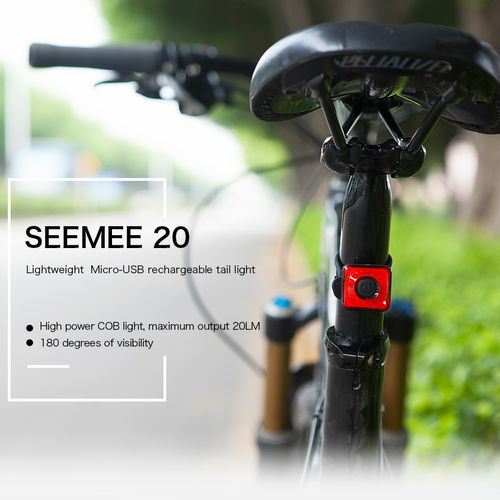 Magicshine 2017 new Rear Bike Light, Seemee 20, a super small, sleek and lightweight design tail light / bike blinker for road and urban cyclists. 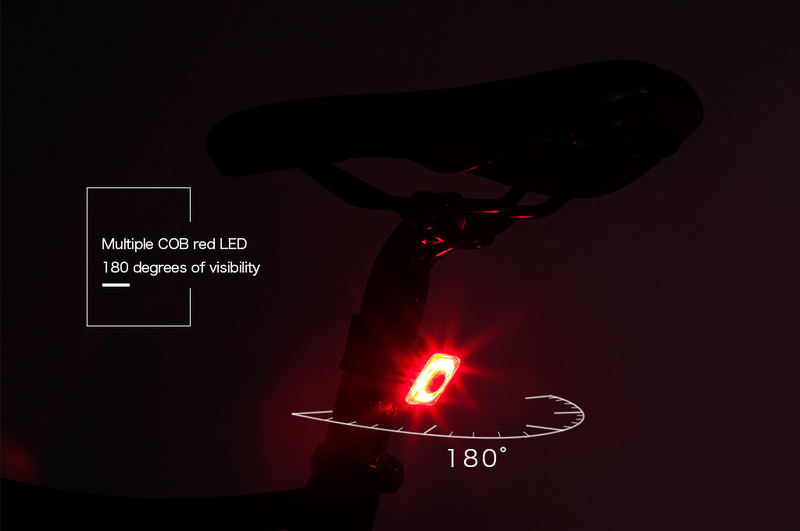 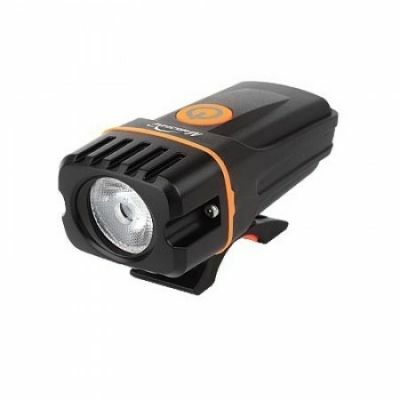 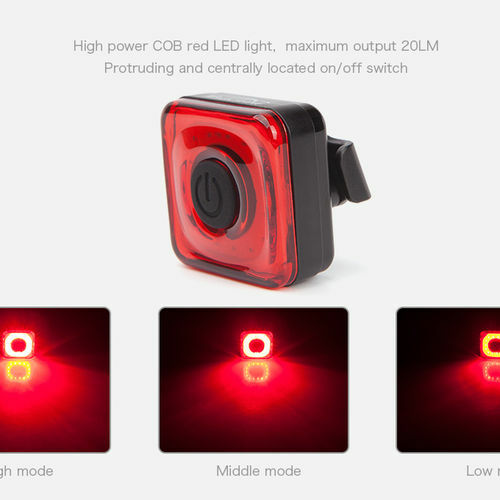 High powered COB red LED light source producing a max output of 20 lumens, capable of 180 degrees of visibility. 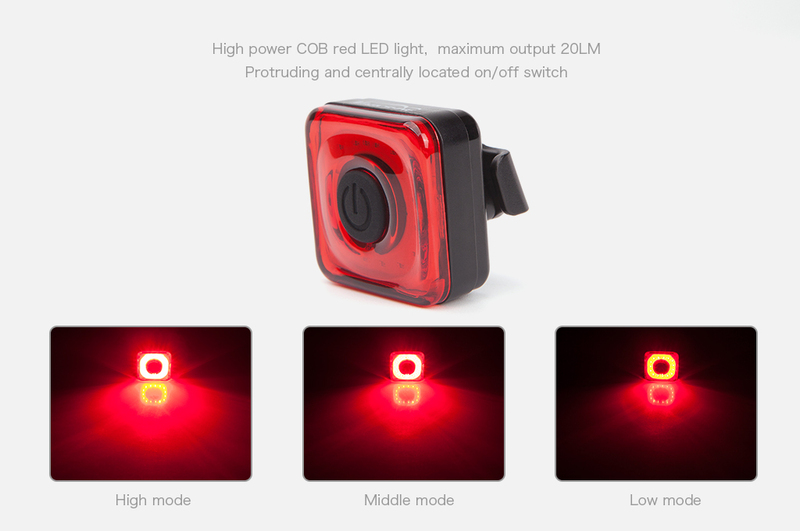 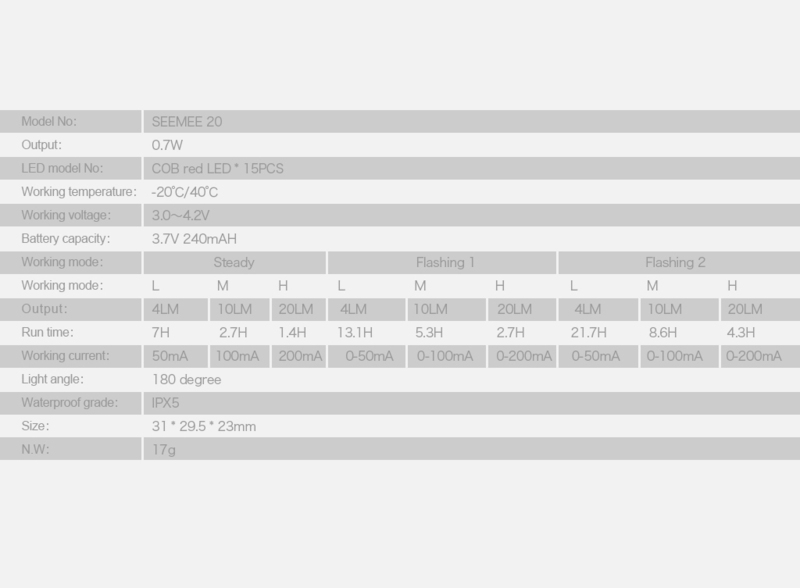 3 brightness modes, constant and 2 flash modes work in any combinations. 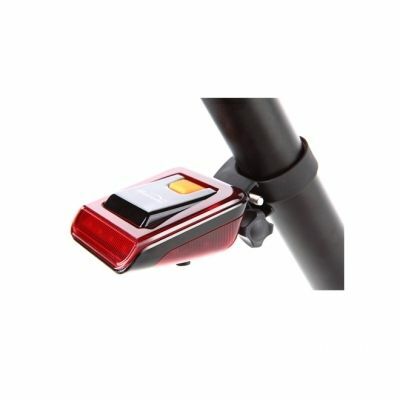 Connection between the light and its mount has a degree of slant so when installed, the lumens points straight backwards. 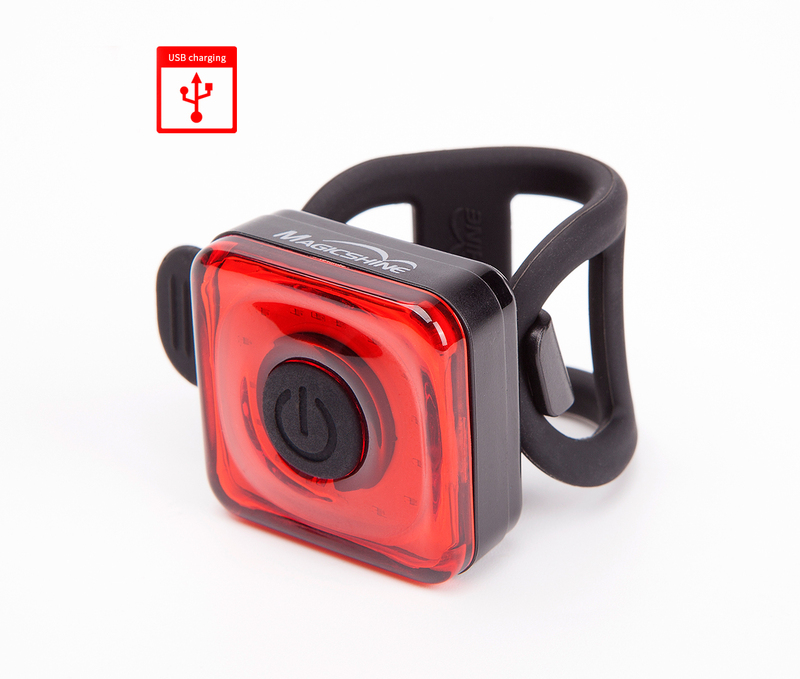 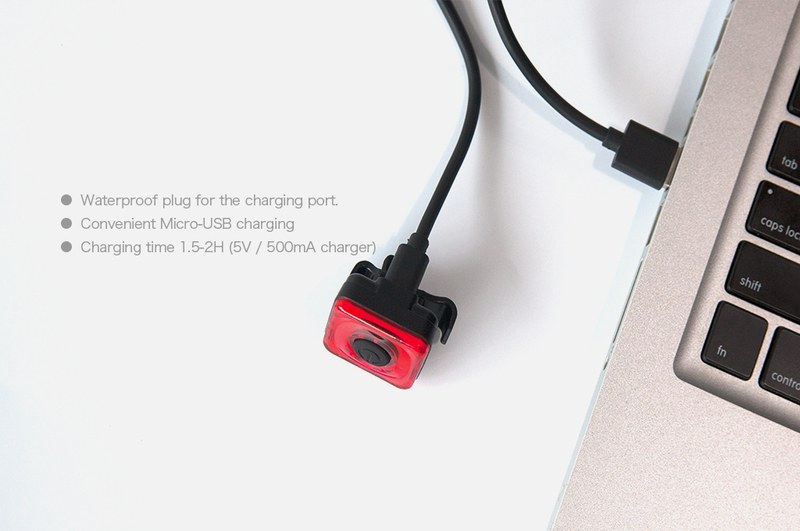 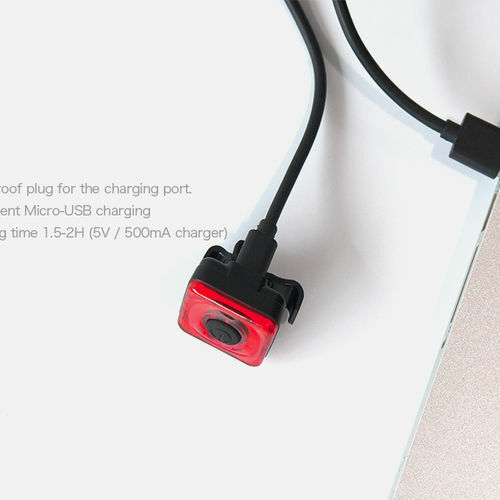 Power button is built to the center of the unit and very accessible with winter gloves. 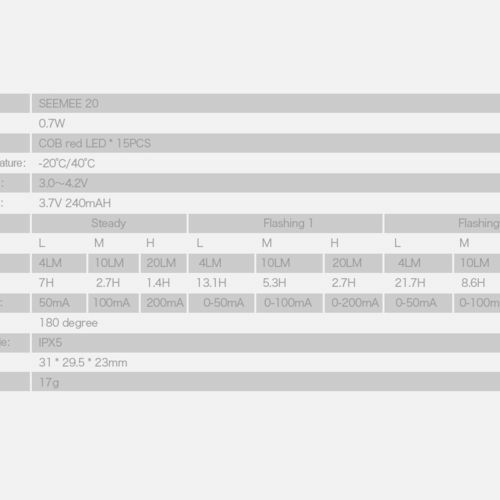 Weighing only 17g, the utility to weight ratio is hard to beat.